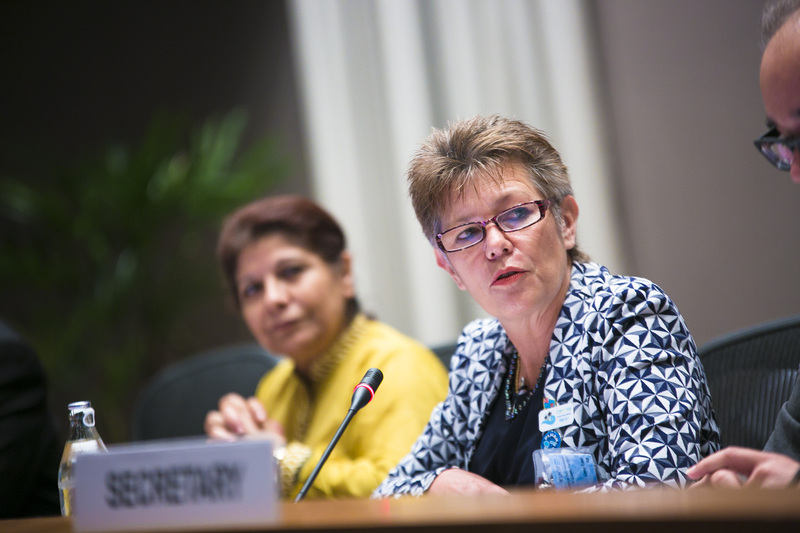 Strengthening regional ocean governance and partnership towards clean seas. 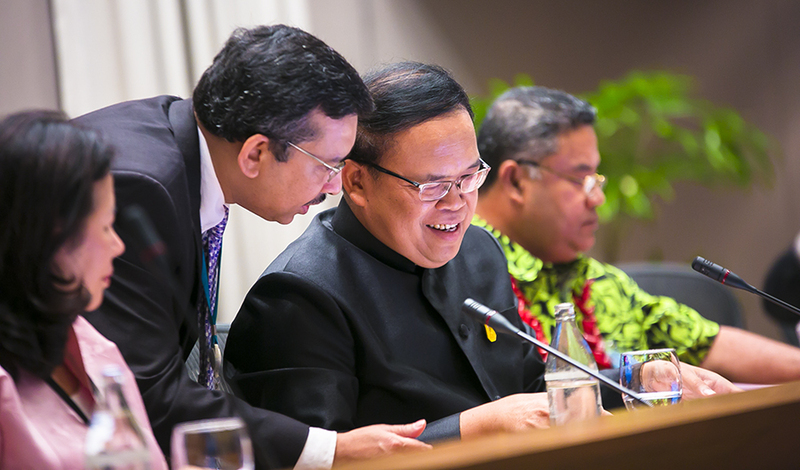 Ministers continued and concluded their deliberations on Friday, the final day of the Summit in Bangkok, Thailand. 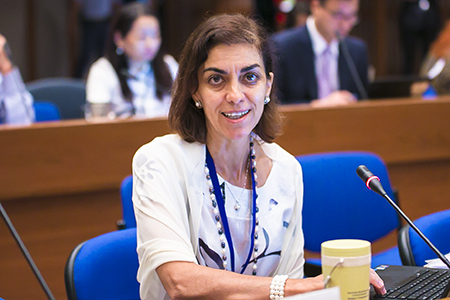 In the morning, they provided further comments on the UNEA-3 draft ministerial declaration, after which a ministerial dialogue took place on ‘Policy perspectives on a pollution-free planet’. Delegates provided suggestions on practical ways to tackle pollution and build partnerships. Side events were organized at lunchtime on: gender, the environment and sustainable development in Asia and the Pacific; and lessons from the Seoul Initiative Network on Green Growth (SINGG), a regional cooperation framework supported by the Government of the Republic of Korea government and endorsed by ESCAP in 2005. 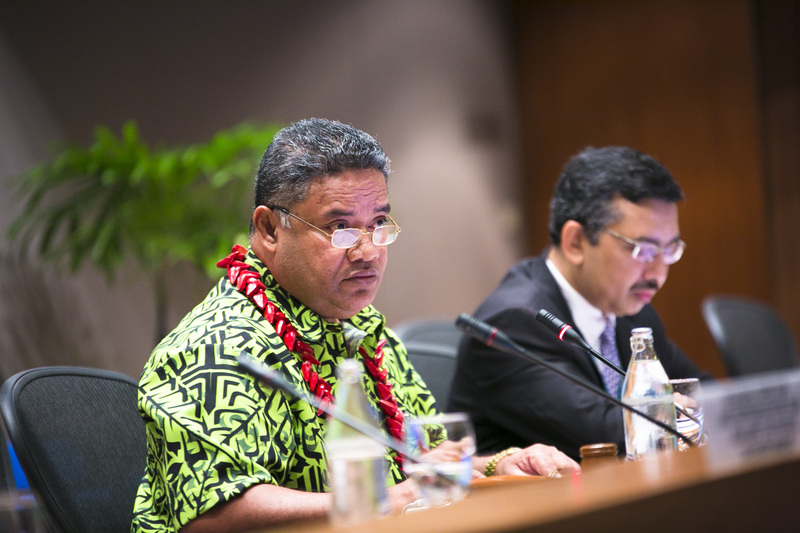 A special event on Strengthening regional ocean governance and partnerships towards clean seas took place after lunch. At the end of the day, ministers adopted several outcome documents: the report of the senior officials and a Chair’s summary of the second UN Environment Programme Forum of Ministers and Environment Authorities of Asia Pacific; and the ministerial declaration on environment and development for Asia and the Pacific (E/ESCAP/MCED(7)/L.4). 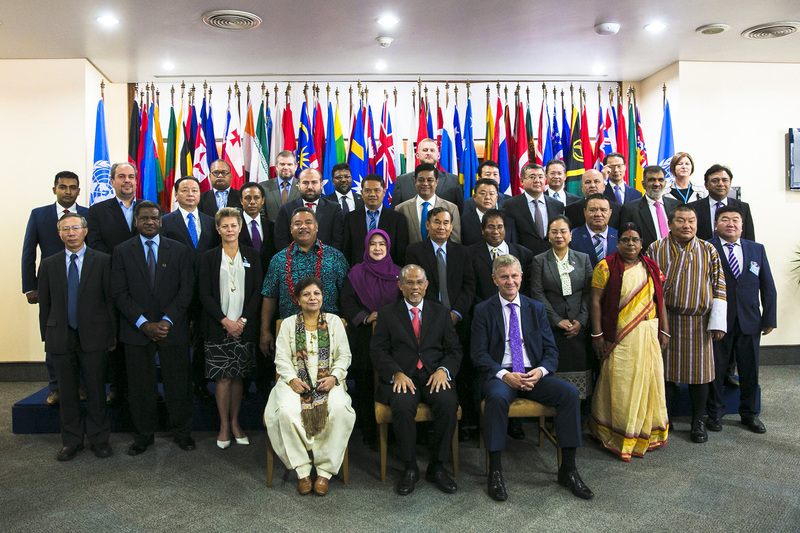 They also adopted the report of the seventh Ministerial Conference on Environment and Development in Asia and the Pacific (E/ESCAP/MCED(7)/L.3), after incorporating several amendments proposed by Iran and Japan. 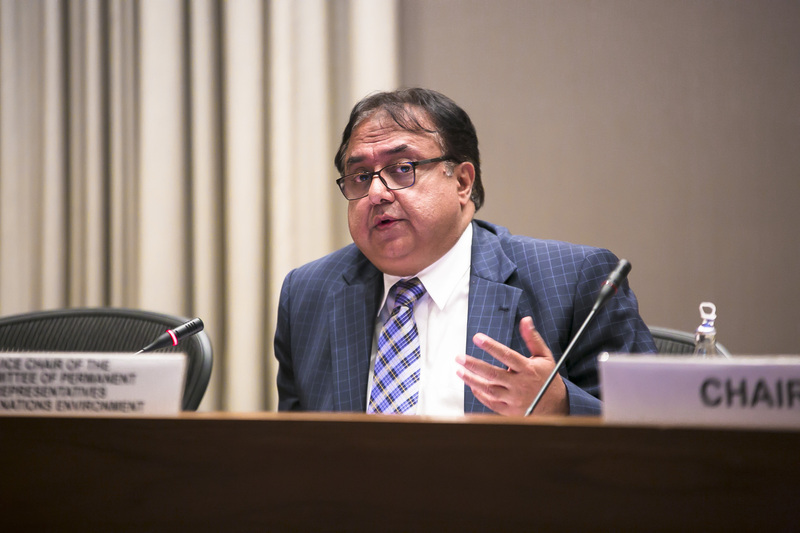 They agreed that the Secretariat would review the text of this report to include a mention of the Rio Principles, including the principle of common but differentiated responsibilities (CBDR). 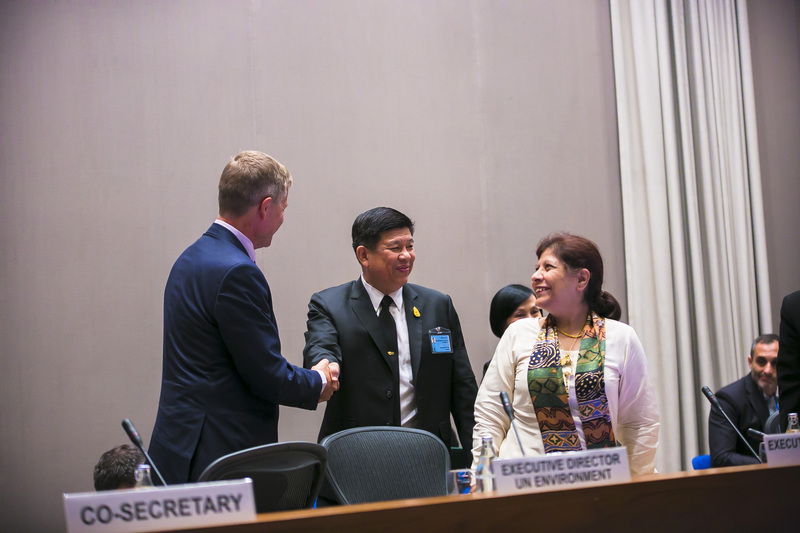 In closing, Shamshad Akhtar, ESCAP Executive Secretary, and Dechen Tsering, UN Environment Regional Director, thanked all delegates for their active participation and their presentation of best practices and policies for achieving a resource-efficient and pollution-free planet. The meeting closed at 4:41 pm. The Summit sought to be a climate-neutral and low-impact event. Besides encouraging delegates to estimate and offset their carbon emissions, the conference took a low-waste approach to paper and printing, drinking-water containers, and catering. Participants were provided with their own biodegradable, reusable cups, and dined on meals made from organic and rescued ingredients. Around the venue, participants viewed exhibits about UN Environment and ESCAP campaigns, including information about regional implementation of the SDGs, and actions to reduce acid rain. 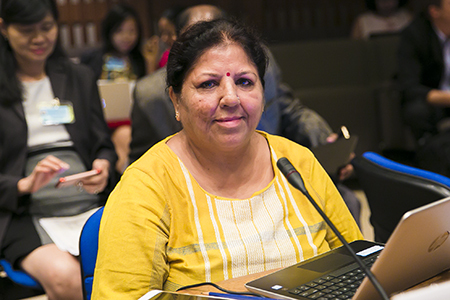 IISD Reporting Services, through its ENB+ Meeting Coverage, is producing daily photographic coverage of the meeting proceedings, as well as of key side events, and also produced a summary report, which is available in HTML and PDF. 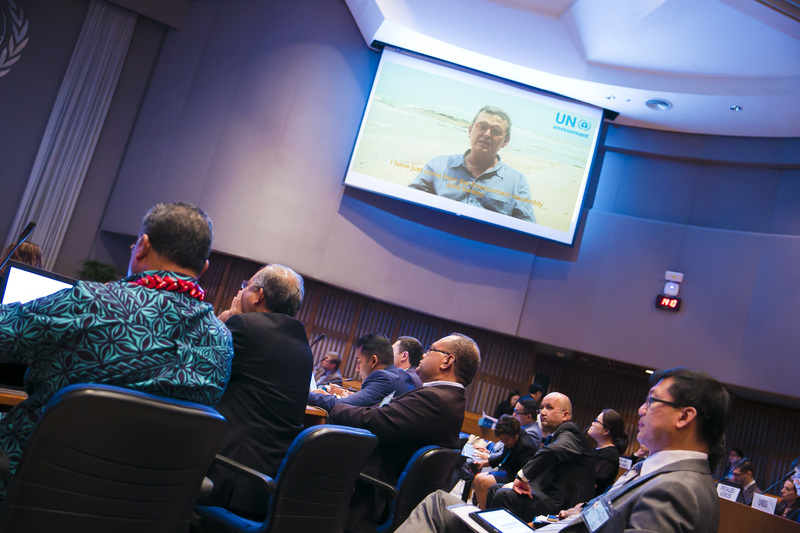 Delegates watch a video message from Edgar Gutiérrez, UNEA President and Minister of the Environment, Costa Rica. Ministers began high-level Summit deliberations on Thursday. 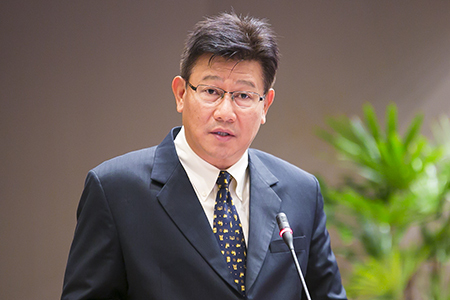 Surasak Karnjanarat, Minister of Environment and Natural Resources, Thailand, highlighted progress made by Thailand’s National Committee for Sustainable Development, which is chaired by the Prime Minister. 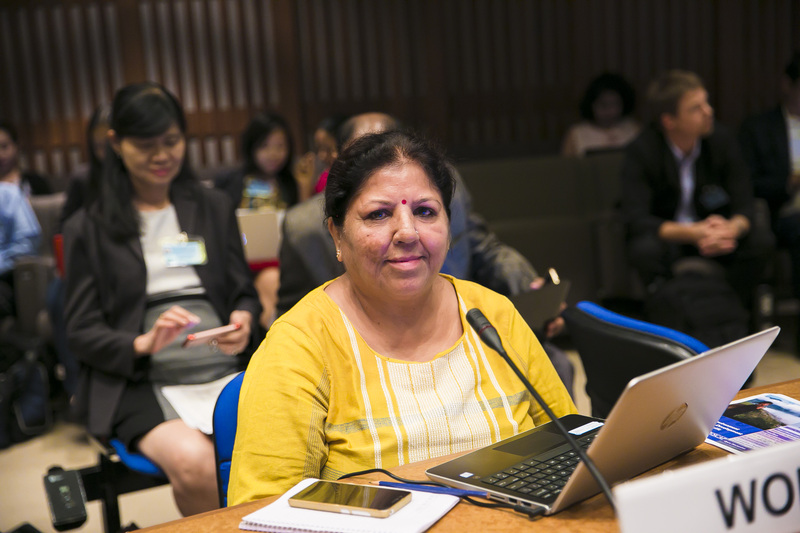 Shamshad Akhtar, Executive Secretary, ESCAP, highlighted regional trends, including the rise in the region’s middle-income population, which has led to high levels of resource use while many still lack safe drinking water. Erik Solheim, Executive Director, UN Environment, observed that pollution is the biggest killer of humanity. 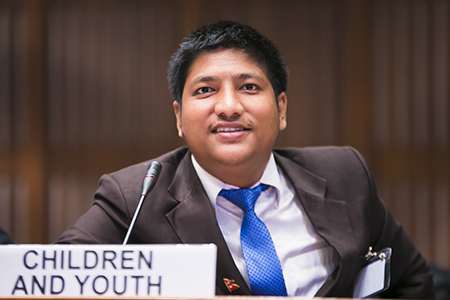 He emphasized that changing the world will require citizen action, political leadership and business dynamism. In the morning, delegates elected meeting officers and adopted the agenda for the day. 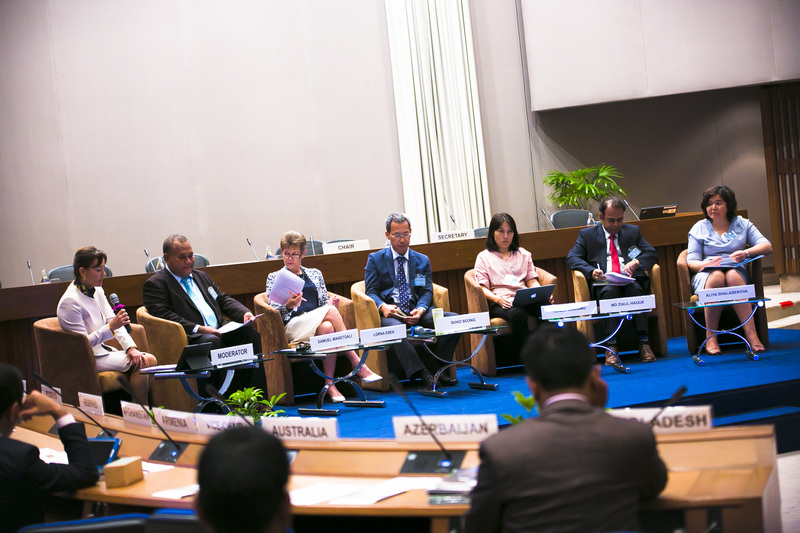 They then took part in a dialogue on the topic ‘Towards a resource-efficient and pollution-free Asia-Pacific region’. 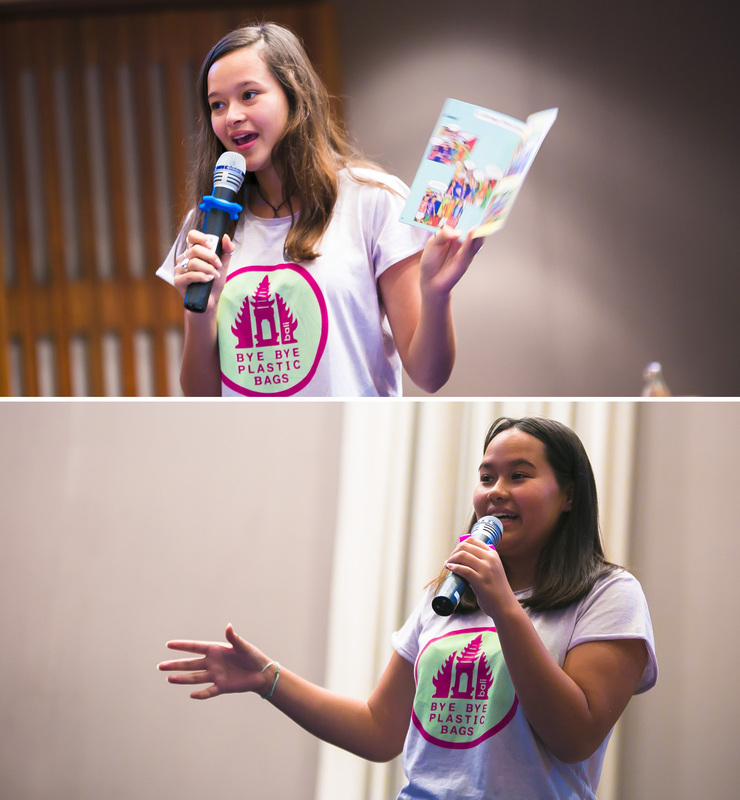 In the afternoon, they presented their own policy perspectives on the environment and development in the region. Many drew attention to their national actions, and some stressed the critical nature of this work, given that ‘there is no planet B’. They also considered the report of the senior officials of the seventh Ministerial Conference on Environment and Development in Asia and the Pacific and the draft ministerial declaration on environment and development, agreeing to forward this for adoption on the final day. 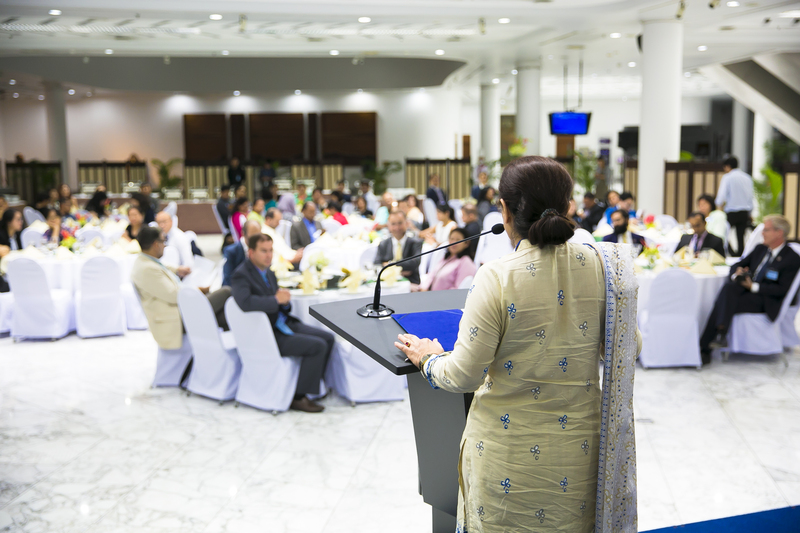 Side events took place at lunchtime, including on ‘Solutions towards an Air-Pollution Free Planet’, organized by UN Environment. 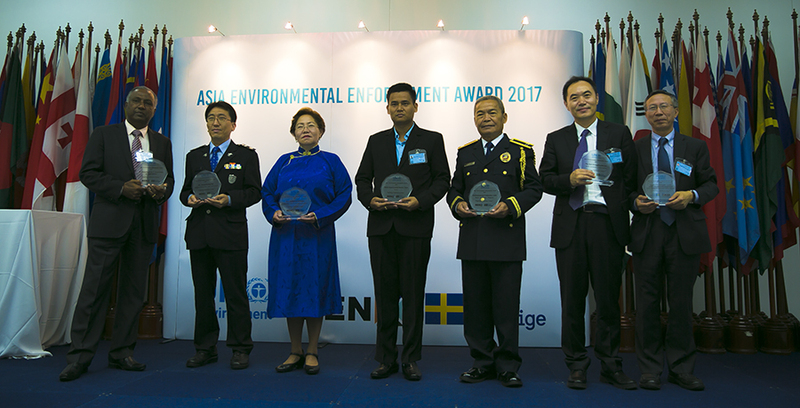 In the evening, delegates attended the Asia Environmental Enforcement Award ceremony. 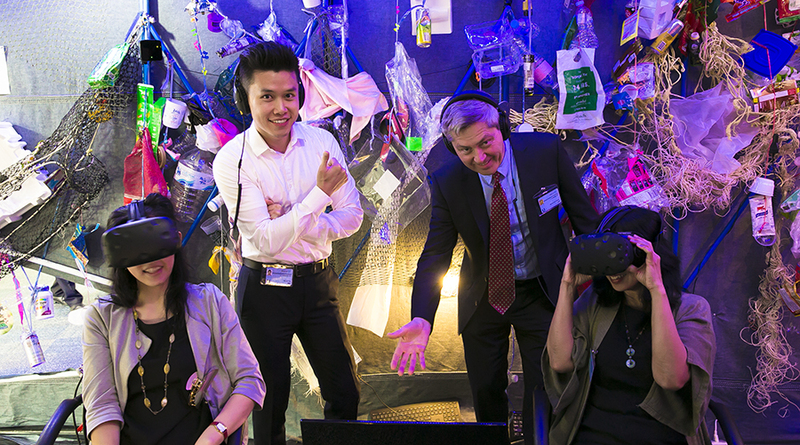 Outside the conference room, delegates were able to assess their personal carbon footprints at the UNFCCC Regional Collaboration Center’s Climate Neutral Now stand. Based on details of country, transport use, home heating and eating habits, UNFCCC’s software would calculate the number of tonnes of greenhouse gases emitted as a result of an individual’s lifestyle. Delegates could offset their emissions by choosing from a range of Clean Development Mechanism (CDM) emissions reduction projects. 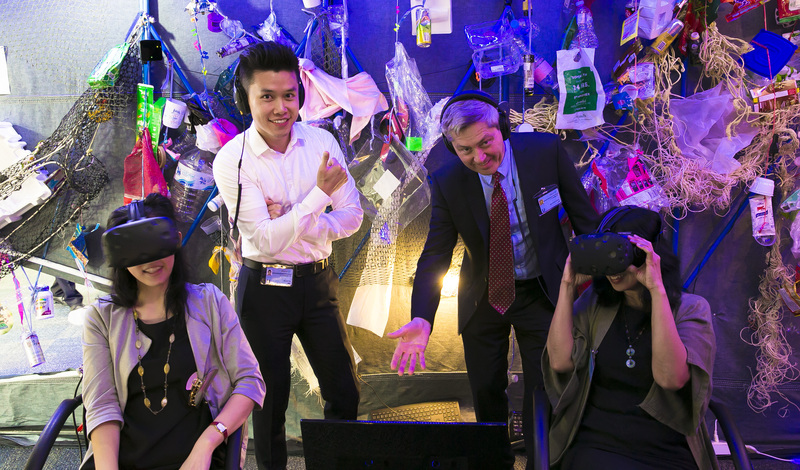 At another exhibit, delegates were able to experience the impact of plastic waste on ocean life through a virtual reality experience that allowing participants to ‘swim’ through polluted waters while wearing virtual reality goggles. View of the speakers during the ministerial dialogue on "Towards a resource-efficient and pollution-free Asia-Pacific region"
The second day of the Summit saw the opening of the senior officials’ segment of the Second Forum of Ministers and Environment Authorities of Asia Pacific, organized by UN Environment. 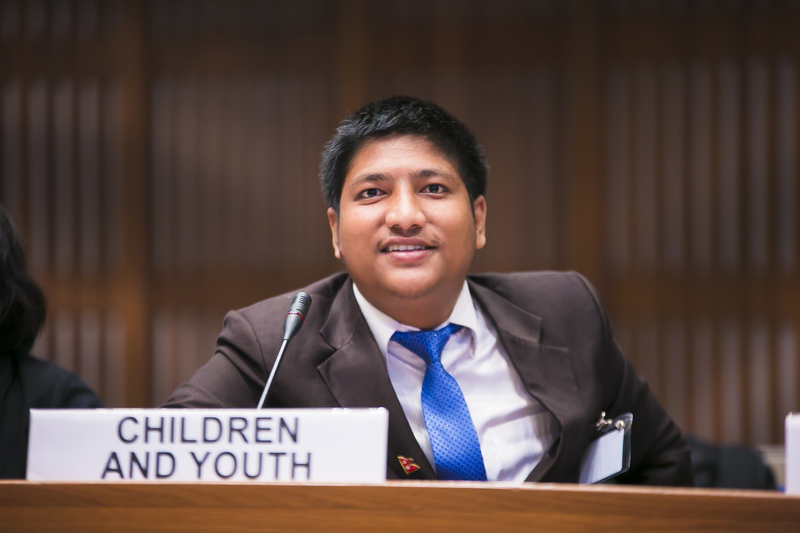 Dechen Tsering, Director, Regional Office for Asia and the Pacific, UN Environment, encouraged the region to build on its good cooperation to date. 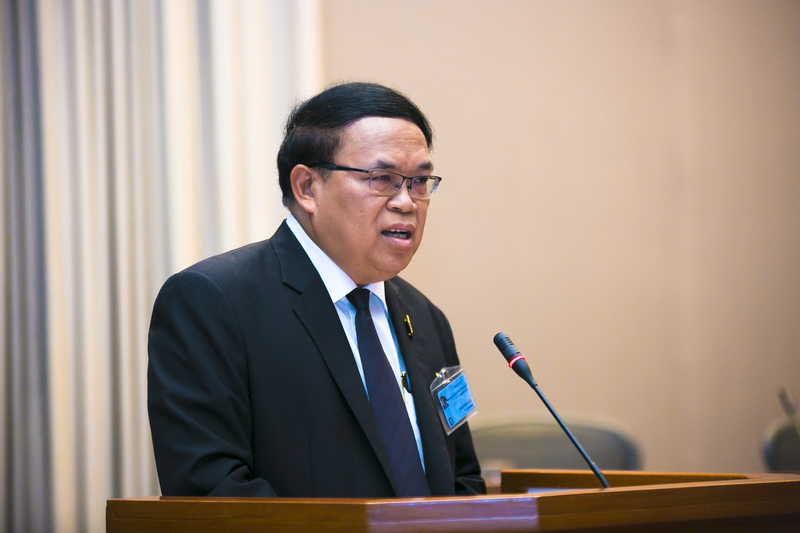 Wijarn Simachaya, Permanent Secretary, Ministry of Natural Resources and Environment, Thailand, noted the meeting will demonstrate Member States’ commitment to achieving a pollution-free planet. 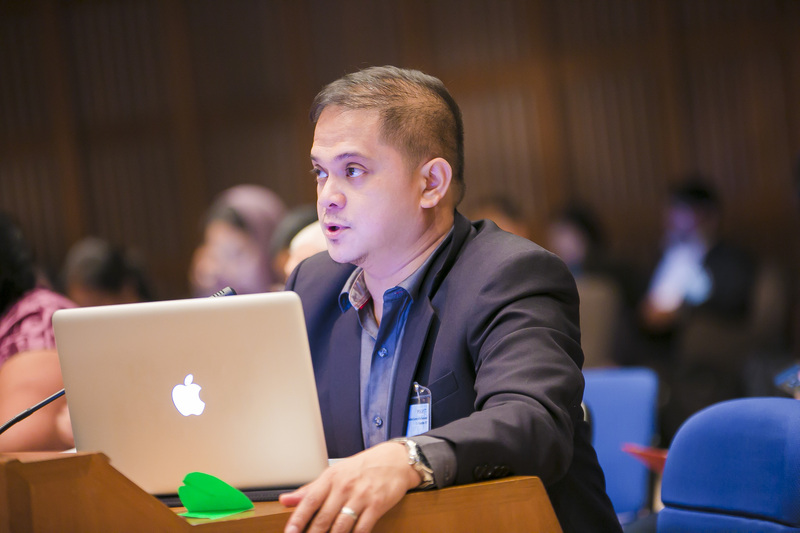 Ramon Paje (Philippines), Vice-President for Asia-Pacific, UN Environment Assembly (UNEA), explained that the Forum outcome will feed into UNEA-3 deliberations in December 2017. 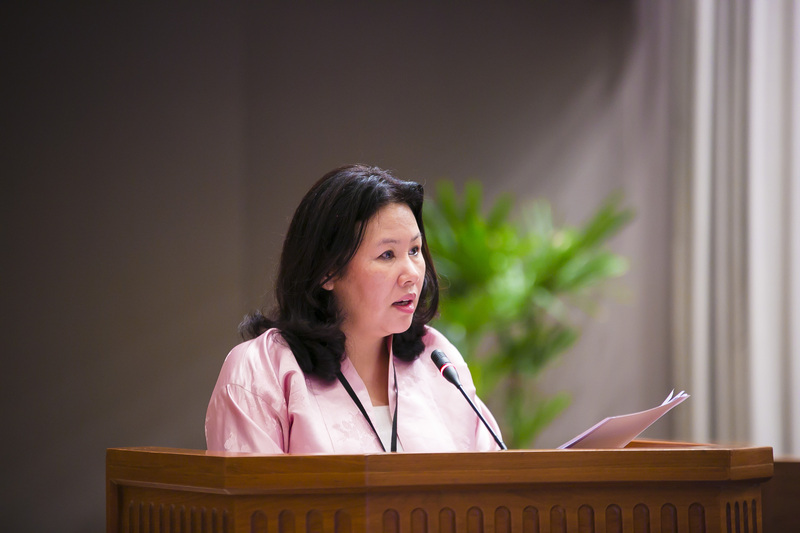 In the morning, delegates elected the meeting officials and adopted the meeting agenda (E/ESCAP/MCED(7)/L.1-UNEP/APEnvForum(2)/L.1). 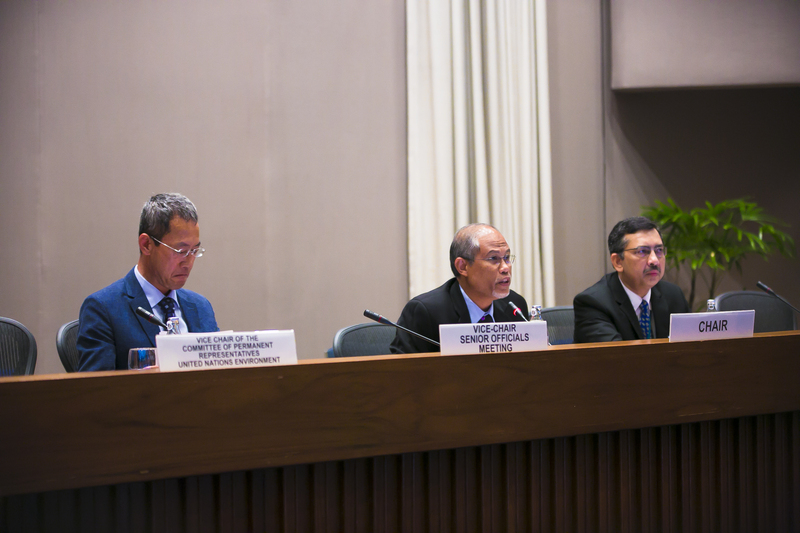 They discussed progress on implementation of UNEA-2 commitments (UNEP/APEnvForum(2)/1) and institutional arrangements for the Forum (UNEP/APEnvForum(2)/5). 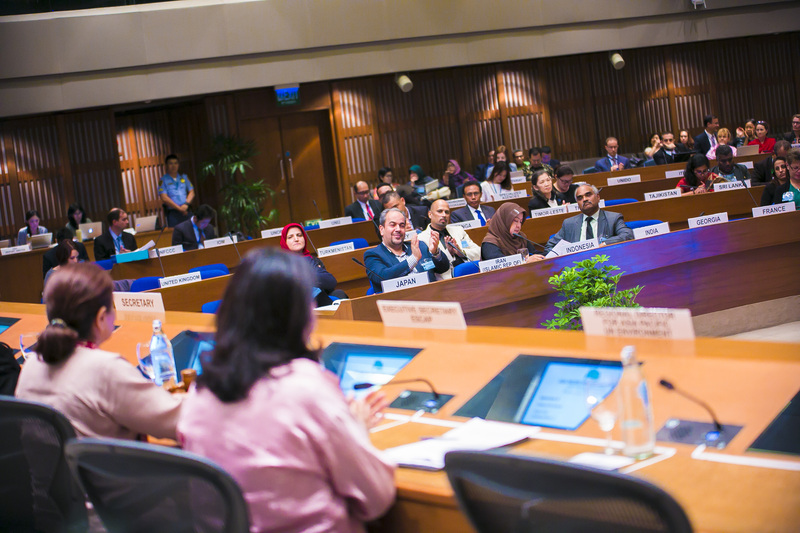 Delegates highlighted national actions toward the UNEA-3 theme of ‘Towards a Pollution-Free Planet’, and provided reactions to the UNEA-3 draft resolutions and ministerial declaration (UNEP/APEnvForum(2)/2; UNEP/APEnvForum(2)/INF/1; UNEP/APEnvForum(2)/3 and UNEP/APEnvForum(2)/4). 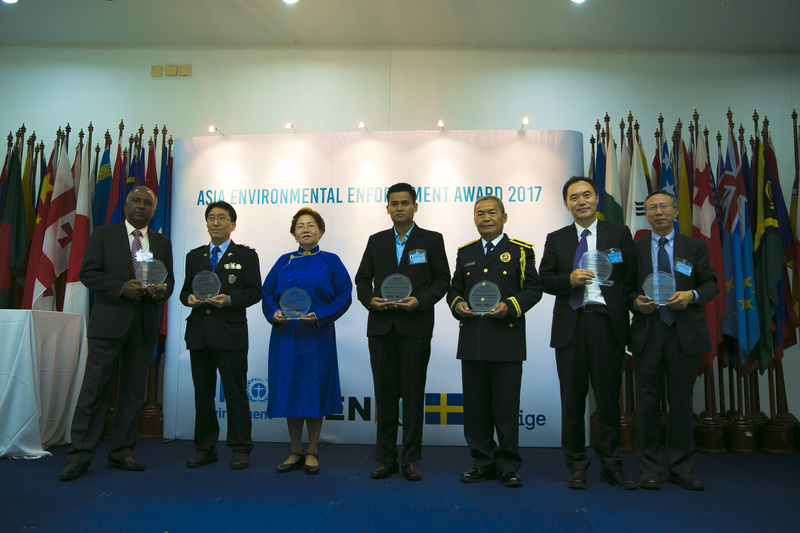 They strongly supported taking concerted action on waste management, environmental health strategies, transboundary air pollution, and marine litter. 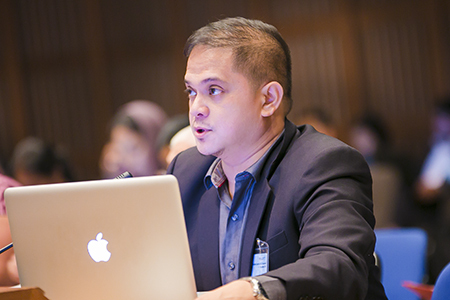 The Philippines circulated their draft resolution submitted to the UNEA Secretariat on 24 August, which called for synchronization of objectives and activities of multilateral environment agreements (MEAs). 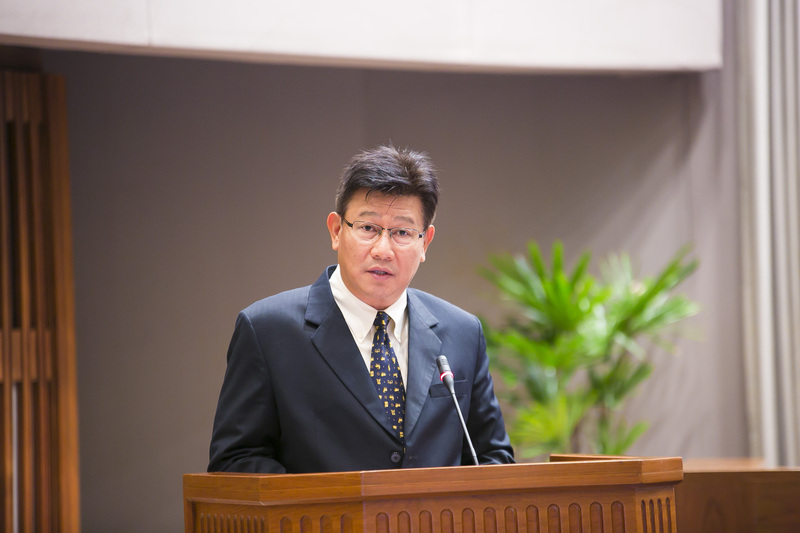 The meeting noted this has been the only draft resolution submitted so far from an Asia-Pacific country. At the end of the day, delegates adopted the meeting reports of the two senior officials meetings, one relating to the Seventh Ministerial Conference on Environment and Development in Asia and the Pacific (MCED-7) (E/ESCAP/MCED(7)/CRP.1) and the other relating to the Second Forum of Ministers and Environment Authorities of Asia Pacific (UNEP/APEnvForum(2)/6). The reports will be forwarded to the relevant ministerial segments this week. 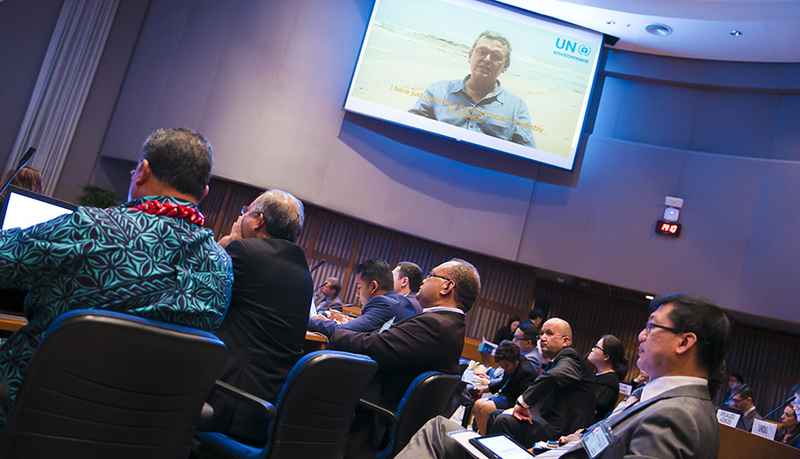 Side events took place at lunchtime and in the evening, on the Astana Green Bridge Initiative, and climate geoengineering in the Asia-Pacific. 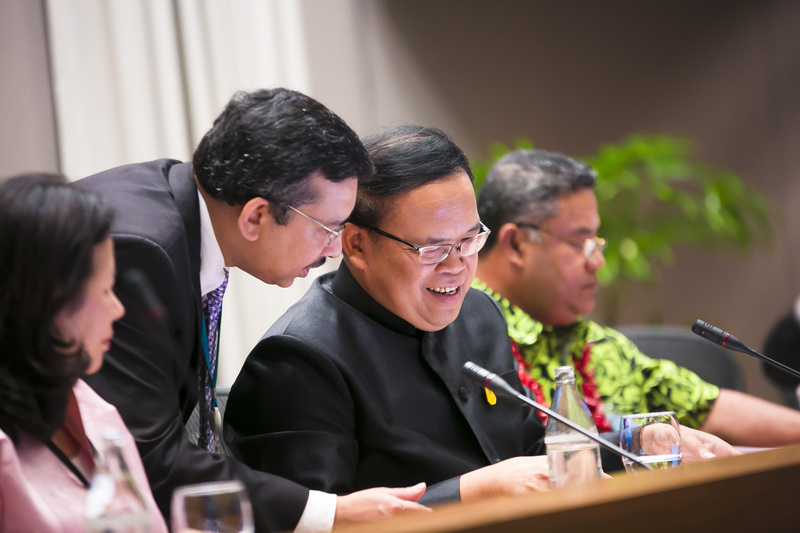 The First Asia-Pacific Ministerial Summit opened at the UN Conference Centre in Bangkok, Thailand, on Tuesday, 5 September. The Summit brings together the seventh Ministerial Conference on Environment and Development in Asia and the Pacific (MCED7), organized by the Economic and Social Commission for Asia and the Pacific (ESCAP), and the second Forum of Ministers and Environment Authorities of Asia Pacific, organized by UN Environment. The Senior Officials Meeting of MCED7 took place on Tuesday. 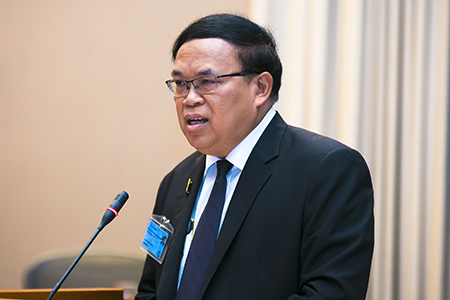 Wijarn Simachaya, Permanent Secretary, Ministry of Natural Resources and Environment, Thailand, welcomed ministers and senior officials, highlighting the importance of the conference as a platform to provide regional commitment and concrete recommendations for implementing the 2030 Agenda on Sustainable Development. 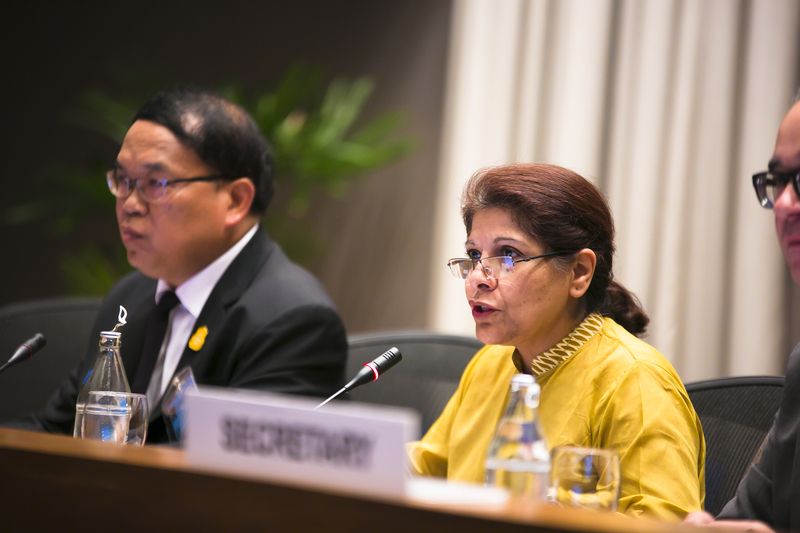 Shamshad Akhtar, Executive Secretary, UN Economic and Social Commission for Asia and the Pacific (ESCAP), noted resource efficiency challenges for the region, observing that 32% of the world’s GDP is produced in the Asia-Pacific region, whereas 60% of the world’s resources is consumed here. 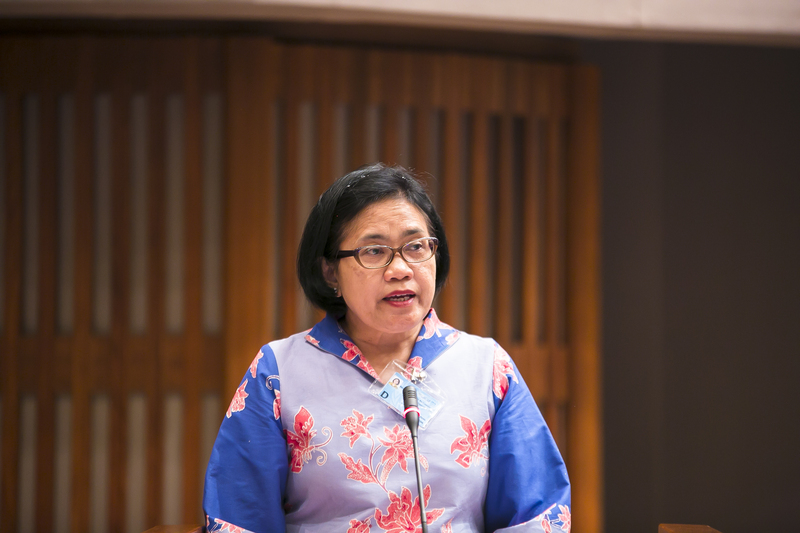 She encouraged countries to take their own policy measures, such as integrating resource efficiency targets into national development agendas, and introducing resource efficiency standards. 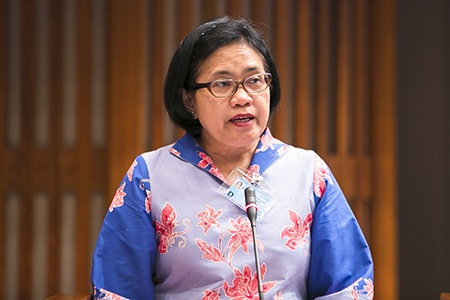 Endah Murniningtyas, Co-Chair, eminent scientists group on the quadrennial Global Sustainable Development Report (GSDR) 2019, delivered the keynote address, in which she urged countries to give the same attention to their natural resources ‘carrying capacity’ as they would to their national borders. 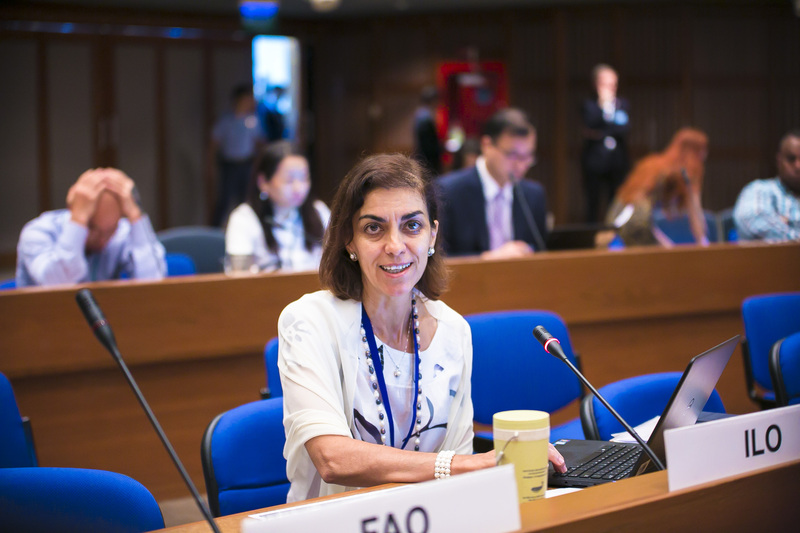 In the morning, delegates elected meeting officers, adopted the meeting agenda (E/ESCAP/MCED(7)/L.1-UNEP/APEnvForum(2)/L.1), and reviewed implementation of previous regional commitments on sustainable development. 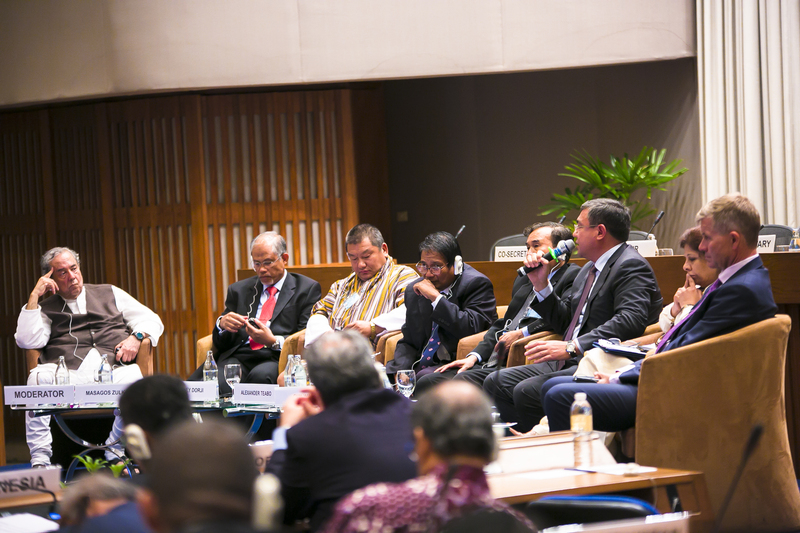 A panel discussed ‘The environmental dimension of sustainable development’ with representatives of the Solomon Islands, Fiji, Republic of Korea, Bhutan, and Kazakhstan, followed by interventions from the floor. 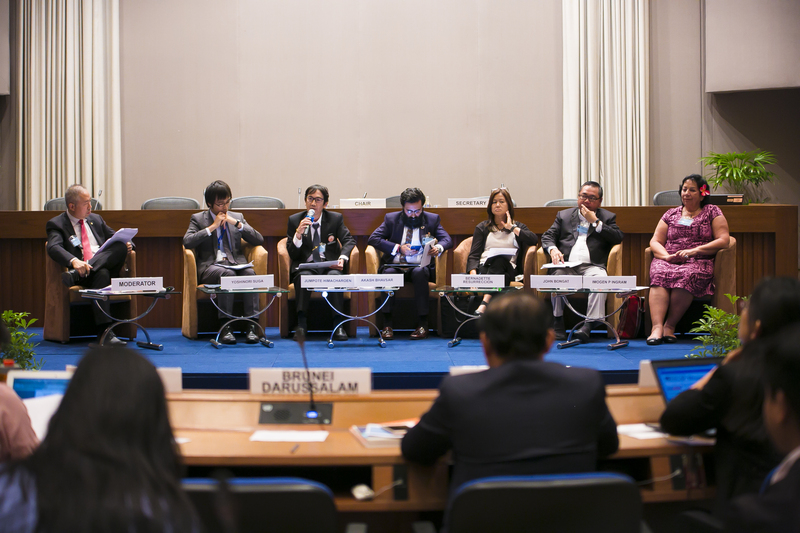 In the afternoon, a multi-stakeholder panel discussed ‘Policy perspectives towards a resource-efficient Asia-Pacific region’, in which participants from government, business and civil society offered thoughts on ways to advance the sustainable development agenda in the region. 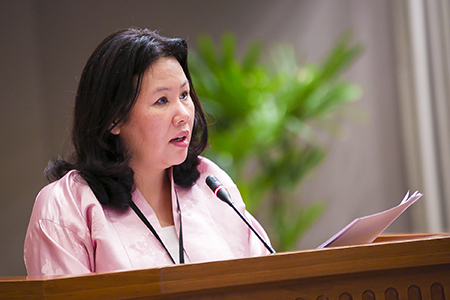 Finally, delegates considered the text of a draft ministerial declaration (E/ESCAP/MCED(7)/WP.1) and agreed to recommend it, without amendment, to the Ministerial level.